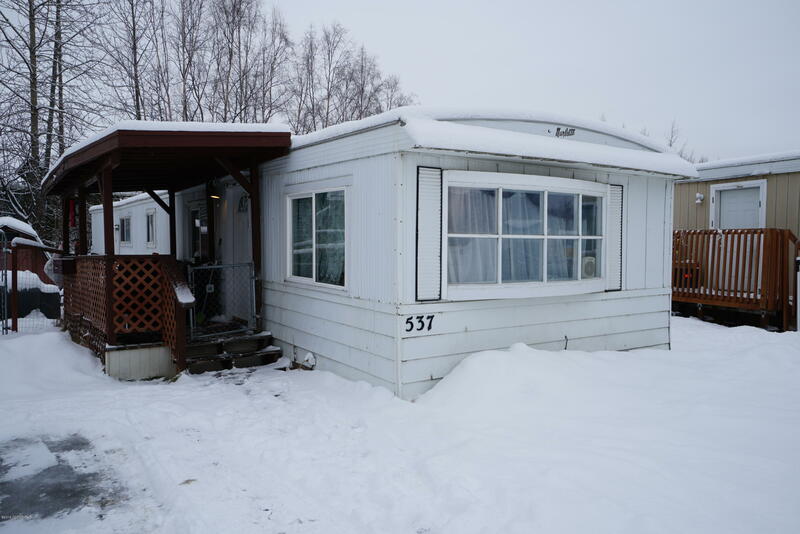 This affordable, clean,well maintained 3 bedroom home is located in one of the nicest and best managed mobile home parks in Anchorage. Homes are not too close together, and the roads are wide and well maintained. Features updated kitchen, laminate flooring, newer washer and dryer, and energy efficient windows. Outside is a large storage shed and ample parking. All appliances are included.